It is not hard to find good Vietnamese food in Melbourne and with an ever-growing population of Viet immigrants to our shores combined with a culinary interest in all things Viet meets Modern Australian; there is an increasing number of hybrid restaurants popping up. MissChu is a one-stop shop for the perfect bi-cultural experience, literally wherever you are in the city. MissChu’s owner Nahji was one of the first Laotian people to settle in Australia after escaping the unstable political regime in Laos throughout the 1970’s. Although settling in Melbourne, Nahji set up her first pop up tuckshop trading under the MissChu name in Sydney before making her way home in 2011. Marketed as a ‘hawker style tuckshop’, MissChu’s is exactly that – but with incredible style and charm. Her food melts in your mouth and is quite frankly the best Vietnamese I have had in Australia. With an array of available dishes from basic pork dumplings to lemongrass beef vermicelli, the products are fresh, natural and minimalist. You can choose to order from your tick the box paper menu if you want to dine in at the Exhibition street store or at the convenient walk up window for takeaway. If you don’t feel up to the walk, your MissChu encounter can come to you via electric bicycle. The restaurant team are equip with fantastic drivers who (within a city circumference) will deliver to your office or apartment door, that is after you have ordered through the ease of you MissChu phone app. The bikes will also make special deliveries to the Rooftop bar in Curtain house and, as of late October, will also have a tuckshop located on Toorak Road, South Yarra. The staff are friendly, talkative and helpful and upon each visit make sure you feel like they really have missed you at MissChu. 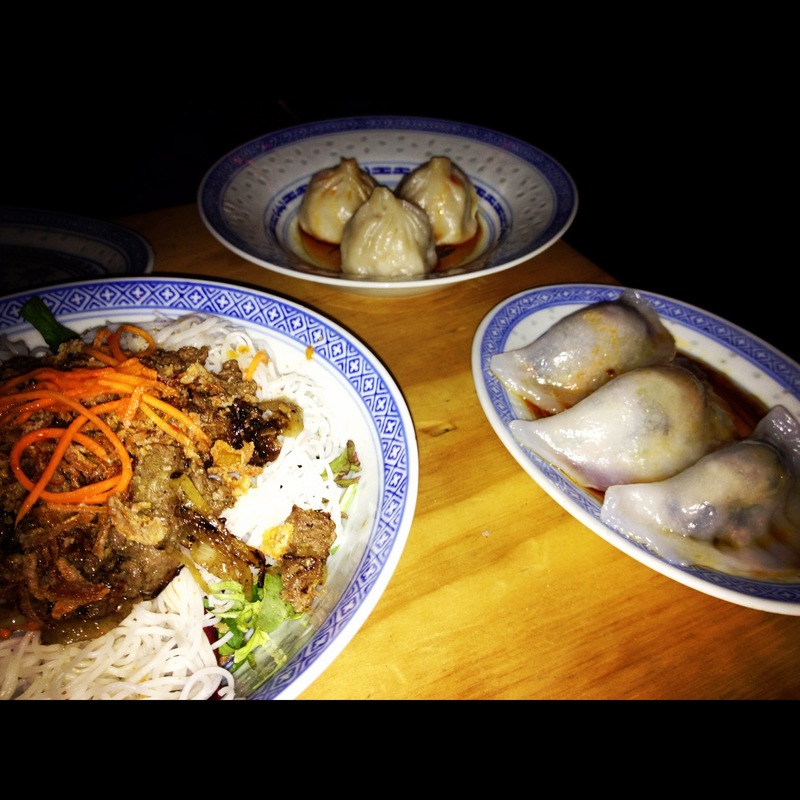 Shanghai pork dumpling, Asian vegetable with garlic chive dumpling and lemongrass beef vermicelli…Yum!